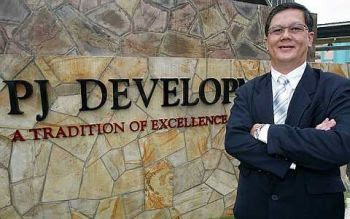 PETALING JAYA: Developers are delaying the launching of any major projects amidst the current weak market sentiment. According to Real Estate and Housing Developers’ Association president Datuk Ng Seing Liong, major launches were being put off for a few months. However, some smaller-scale projects should be introduced after the Chinese New Year. The trend was across the board for all types of properties as buyers were on a wait-and-see mode, he told StarBiz in a telephone interview. “Deferring projects is a business decision and should not lead to abandoned projects. We have had enough of that in the past,” he said. Ng believed recovery in the property market would take at least one to 1½ years. “You can’t go wrong with properties. The most they can weaken is 10% to 15%,” he said, adding that in an economic downturn, it was important that developers could break even and sustain their cashflow. “If any of them had locked-in sales, it’d be a bonus,” he said. Dijaya Corp Bhd managing director Tong Kien Onn said the company was keeping tabs on the market to gauge the right time for its next launch. It is planning to launch three new projects within the Tropicana area in Petaling Jaya over the next one year. They are Tropicana Grande, a condominium fronting the Tropicana golf course; Tropicana Avenue, which is a commercial centre; and Pool Villas, comprising semi-detached villas. “There are plans for two new landed property developments located south of Kuala Lumpur, which we are targeting to launch by middle of next year,” he said. The developer is also in the midst of promoting its unsold ready units of Villa Green super semi-detached homes. “We sold about 75%, which were completed and delivered to our purchasers in April,” he said. Tong said its property locations at Tropicana Indah and Tropicana City remained attractive for the owner-occupier segment of buyers. “Most of our available stocks are completed properties and this helps because potential buyers can move in sooner and they enjoy savings on their loan interests,” he added. Dijaya has unbilled sales of about RM250mil, most of which will be recognised over the next one year. Mah Sing Group Bhd group managing director Datuk Seri Leong Hoy Kum said it had completed construction of a lot of housing products at the old lower costs. Its completed products amounted to RM282mil, which will allow profit and cashflow to be ploughed back to the group immediately. Together with this amount, gross development value and unbilled sales totalling RM3.9bil would sustain earnings in the coming years, he said. He added that the group had a war chest of RM143mil and would receive an additional RM212mil in cash after the completion of its Icon Jalan Tun Razak by June next year. Mah Sing will seek land in prime locations in the Klang Valley, Johor Baru and Penang. Last month, it paid RM13mil for a 2.12ha site in Setapak, which is opposite the upcoming Parkson Grand Setapak to be completed next year. LITTLE-known property developer and manager Kwong Hing Group may buy more commercial properties to improve its earnings, especially given the current economic scenario. The group, which turned 50 yesterday, already owns several buildings including Wisma Hamzah Kwong Hing in Lebuh Ampang, Wisma KH on Jalan Sultan Ismail, Plaza Pengkalan on Jalan Ipoh and Wisma Fui Chui, on Jalan Cheng Lok. Managing director Lim Fap Khoon said that it has several offers already on its table. "We are interested in acquiring commercial buildings but it would depend on the location and the pricing," Lim said. In Malaysia, the group currently does not have any major commercial project. Projects in hand are medium-cost residential developments in Pahang, Selangor and Kuala Lumpur ranging between RM100,000 to RM150,000 per unit. As such, it wants to grow its investment portfolio. Lim was speaking to reporters following the launch of the newly renovated Wisma Hamzah Kwong Hing and the unveiling of its new corporate logo. The ceremony was officiated by the Minister for the Federal Territories Datuk Sri Zulhasnan Rafique. According to Lim, the building, which is now encased in a reflective gold-coated glass skin, which creates an effect that is posh, was built in 1984 at a cost of RM38 million. This 22-storey building which is fully occupied, underwent a RM16 million renovation to transform it into an iconic structure in what was once the central business district. "The book value of Wisma Hamzah Kwong Hing, after depreciation and before renovation is RM28 million," he said. Seventy per cent of the group's revenue is derived from property development in Malaysia and in China and from property management. Another 20 per cent comes from the trading of canvas shoes under the brand Warrior while the rest is from a network marketing business BAE International Inc Sdn Bhd. The history of the company began in 1958, when Lim made his way to Malaya from Dabu in Meizhou, China, to begin trading textile. It later ventured into property development which today sees it also owning shopping centres along Jalan Tuanku Abdul Rahman and Jalan Petaling and Bangunan HSBC in Medan Tuanku. KUALA LUMPUR: “Hillside” and “landslide” are two words that have been propping up in the same sentence quite extensively as of late. Ever since the tragic landslide that hit Bukit Antarabangsa two weeks ago, developers with hillside developments have been under the radar by observers who fear that these projects are accidents just waiting to happen. According to PJD Management Services Sdn Bhd chief operating officer Lim Lian Seng, the company has adhered to relevant safety requirements. Many developers are giving assurances that their hillside developments are in compliance with the relevant remedial and safety regulations and are safe to inhabit. For PJ Development Holdings Bhd (PJD), that task will be a lot tougher, especially for its Siarah Oakleaf development which is located within Bukit Antarabangsa itself. The development comprises twenty 2½-storey semi-detached homes with a gross development value of over RM40mil. The homes have a starting price of RM2mil. PJD Management Services Sdn Bhd chief operating officer Lim Lian Seng said the company had adhered to the relevant safety requirements when it undertook the construction of the project, which is now 90% complete. “We have the geo-technical reports as requested by the Ampang Jaya Municipal Council (MPAJ) and Ikram (Public Works Institute) to certify that the land where our project is safe to construct,” he said when contacted by StarBiz. “Procedure-wise, we have the clearance from the proper authorities to go ahead with the project,” Lim said, adding that the company was expecting to receive the certificate of fitness by February. He also said that safety was always a primary concern for the company when it decided to embark on its development in Bukit Antarabangsa. “The land was approved for the construction of 200 units of condominiums but we were more cautious and decided to construct landed homes,” Lim said, adding that PJD was not working on other hillside developments. The Siarah Oakleaf development is located about 600m from where the landslide took place. Lim said the landslide tragedy on Dec 5 would have an impact on both property buyers and sellers. “It will affect everyone. Purchasers are more cautious and developers will definitely have problems selling our (hillside) projects,” he said. With the right reports, analysis and proper drainage systems in place, Lim said it would still be safe to develop projects on hillsides. Datuk Seri Ahmad Zubir Murshid.